See one of the seven wonders of Asia, the Taroko Gorge, on a full-day tour. 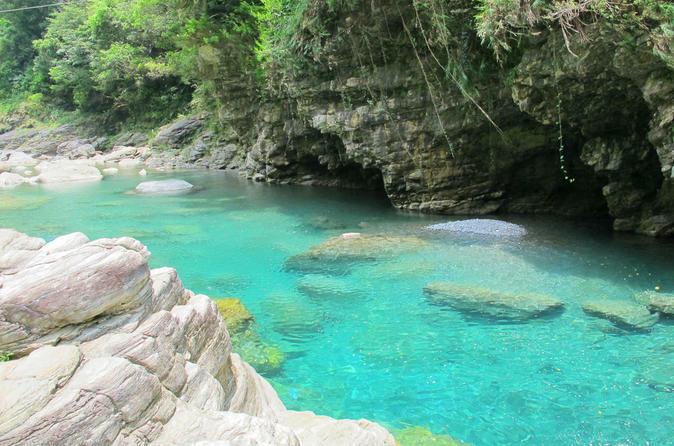 Led by a local guide, take a train ride to Hualien from Taipei to see this top attraction, known for its winding tunnels, sheer marble cliffs and the Liwu River that flows through it. Enjoy an included lunch at a traditional restaurant, stroll along Chi-Hsing Beach and stop at the Hualien Stone Sculpture Park before returning to Taipei. If you have just one day to spend in Taipei, this city sightseeing tour covers it all! 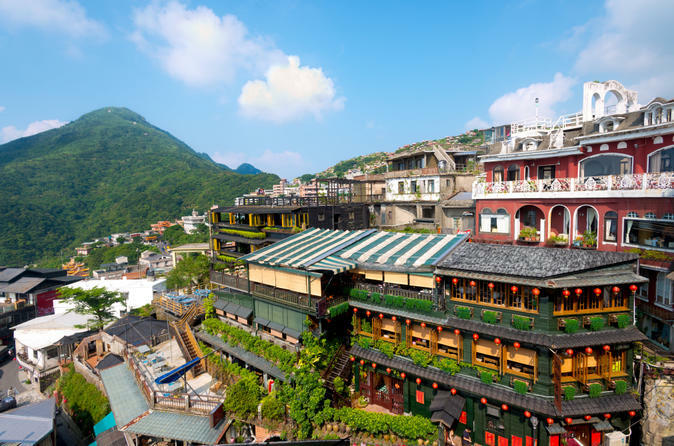 A savvy local guide takes you to must-see attractions in Taiwan’s capital city, from the outstanding architectural feats of Taipei 101 to the elaborate Longshan Temple. 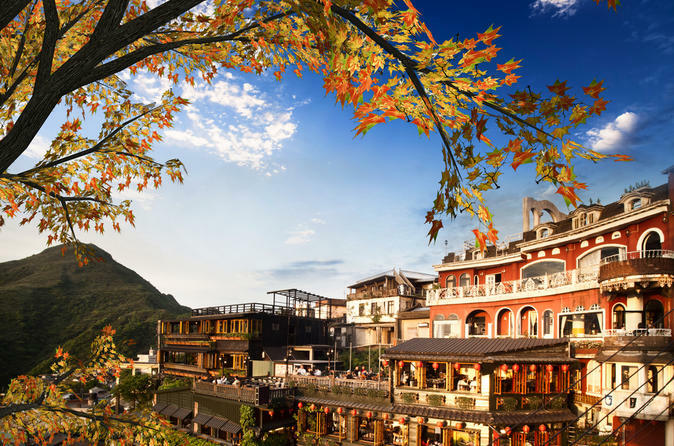 You’ll stop by the Lin An Tai Historical House, the Grand Hotel, National Palace Museum, Shilin Night Market and the Beitou Hot Spring Museum to learn about the bubbling springs that make the thermal valley famous. Numbers are limited to 16 people, ensuring personalized attention from your guide. 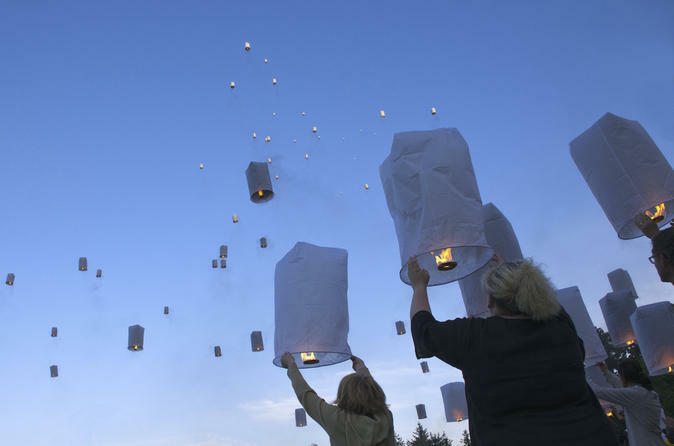 Travel to the remote mountain town of Pingxi, renowned for its annual Sky Lantern Festival. Visit Shuinandong Area and see the unique blue and yellow color swirls in the “Yin-Yang Sea”, visit the spectacular Gold Waterfall, another unique and beautiful sight. Hotel transport from Taipei by luxury sedan, van or minibus is included. Numbers are limited to 7 people, ensuring an intimate experience with a small group. 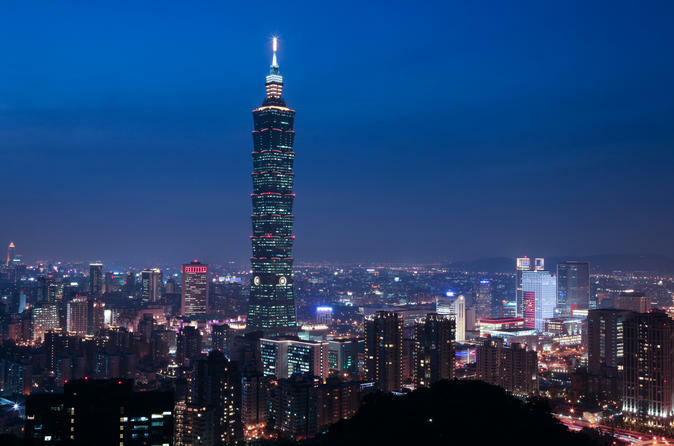 Ride in a luxury sedan to Taipei’s top attractions on this private, guided tour, customized to your needs and interests. Enjoy a full day touring with a professional driver-guide who will take you wherever you want to go within Taipei city or along the lovely northeast coast. 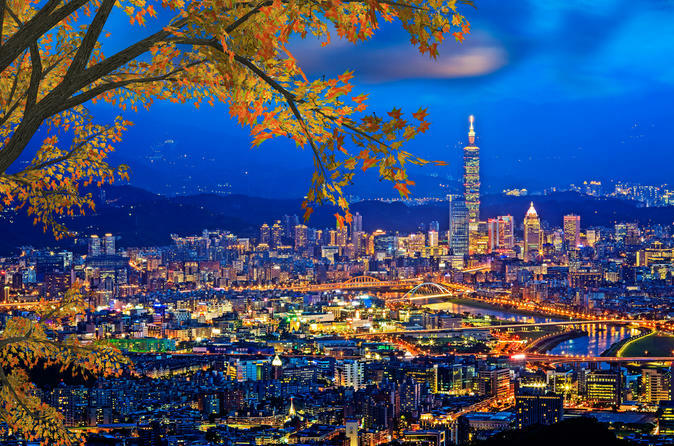 Visit highlights such as Longshan Temple, Taipei 101 and Beitou Hot Springs, immersing yourself in the beauty and excitement of Taipei and beyond. Want to take a relaxing hot spring bath? 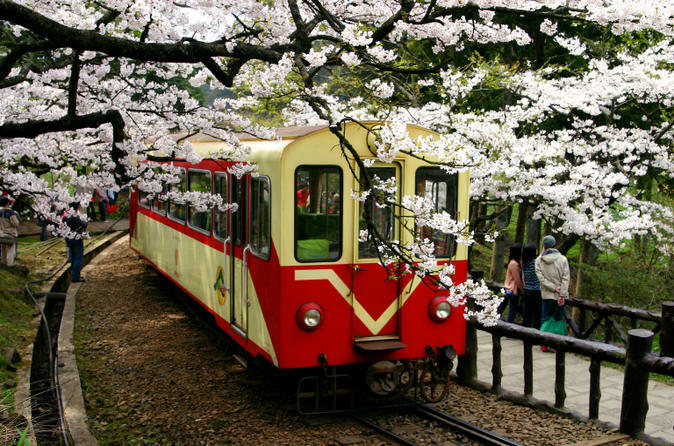 Visit the Yangmingshan National Park and Beitou (Peitou) on this tour from Taipei. Visit the hot spring and fumaroles, the tranquil lakes and beautiful grass fields on this relaxing half-day tour from Taipei. The Beitou Hot Springs are said to relieve all ailments from muscle pain to nervous tension. 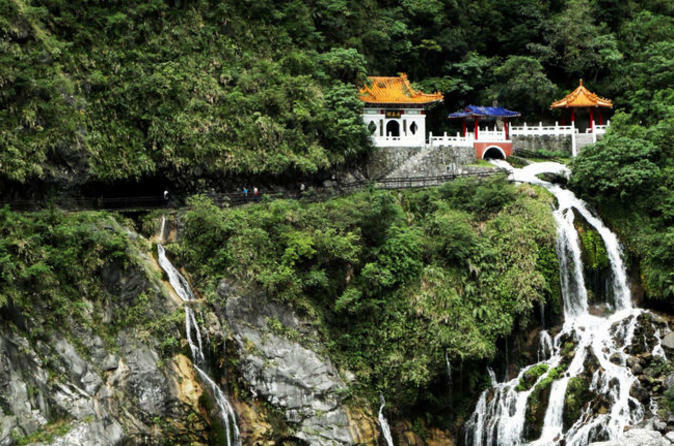 Enjoy the sights of Taiwan’s must-see destinations on this bus tour from Taipei. As you are comfortably seated inside a tour bus, listen to your guide’s interesting stories about the sites you pass. Explore some the region’s most important treasures including the small town of Puli, picturesque Sun Moon Lake and the old town of Lukang. In addition to enjoying informative onboard narration, you will also step off the bus with your guide to visit various attractions. Join this exciting full-day trip to visit one of the seven wonders of the world - Taroko Gorge in Hualien, the east part of Taiwan. Taroko National Park, or sometimes called Taroko Gorge, and its surrounding area are famous for not only the mesmerizing views and nature, but also their abundant supply of marble which leads to its nickname "The Marble Gorge". 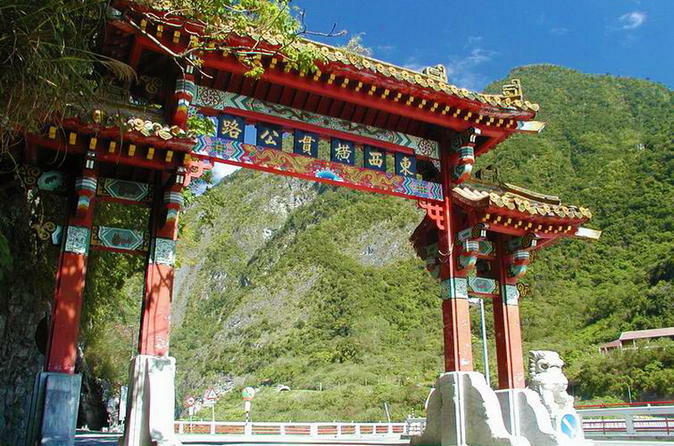 Also visit Tunnel of Nine Turns, Eternal Spring Shrine, Swallow Grotto, Cisingtan Scenic Area and Hualien Stone Sculptural Park. Let's visit the beautiful marble world together! 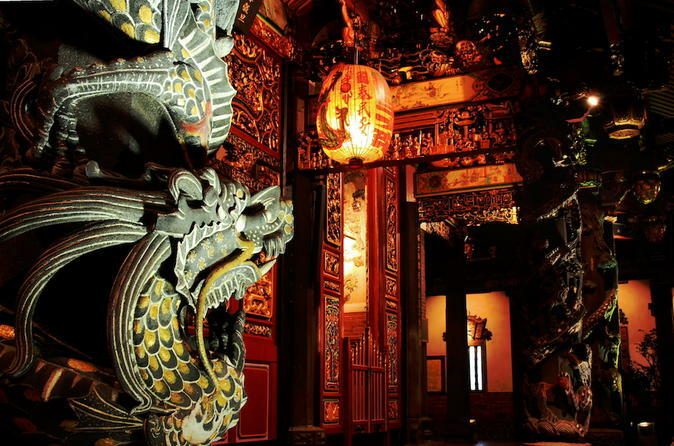 Enjoy a tea and sightseeing tour steeped in history from Taipei! 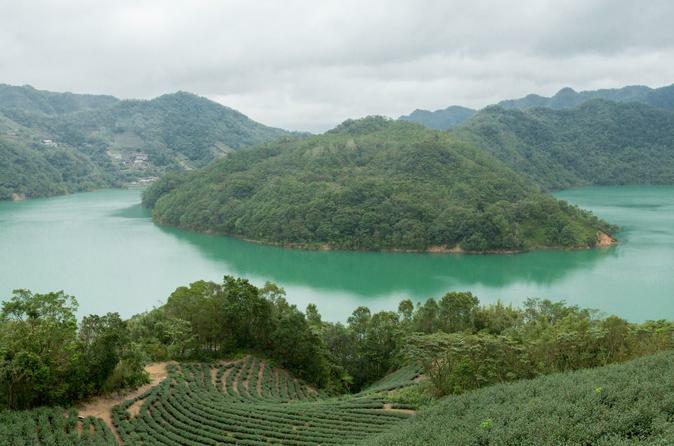 Taste tea and explore the Bagua Tea Plantation — the largest in northern Taiwan. 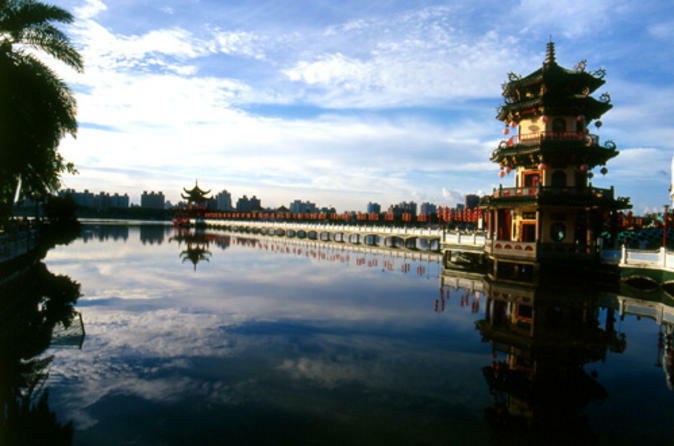 Your full-day tour includes a 25-minute ride on the Maokong Gondola, a visit of Chih Nan Temple, a stroll around Shihting Old Street and scenic views of Thousand Island Lake (Qiandao Lake). You will have the opportunity to taste tea with an expert of tea ceremony. Numbers are limited to 7 people, ensuring a personable experience with a small group. Explore central and southern Taiwan and discover the beautiful countryside scenery on this 4-day tour from Taipei. Sit comfortably aboard an air-conditioned coach and hear interesting anecdotes and enlightening commentary about the sites, culture and local life in Taiwan. Step off the bus with your guide to walk around the region’s highlights and hidden wonders including the town of Puli, picturesque Sun Moon Lake, the scenic lighthouses of Kenting National Park, Kaohsiung’s impressive temples and pavilions and the historic town of Lukang. See a visually stunning performance at TaipeiEYE, a venue recognized for its traditional Chinese and Taiwanese performing arts. 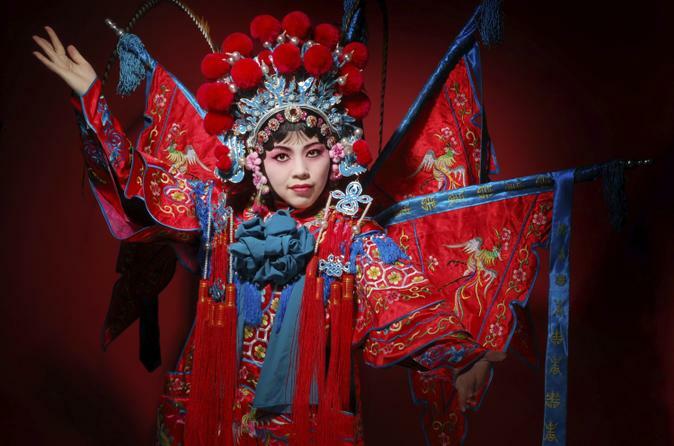 The 90-minute evening show is a sort of Chinese opera that incorporates mime, dance, acrobatics and martial arts; it's a tradition that dates back to the 18th century. Each riveting show, such as ‘Lion Dance’ and ‘Mulan,’ tells an engaging story based on Chinese history or literature, or aboriginal Taiwanese folktales. 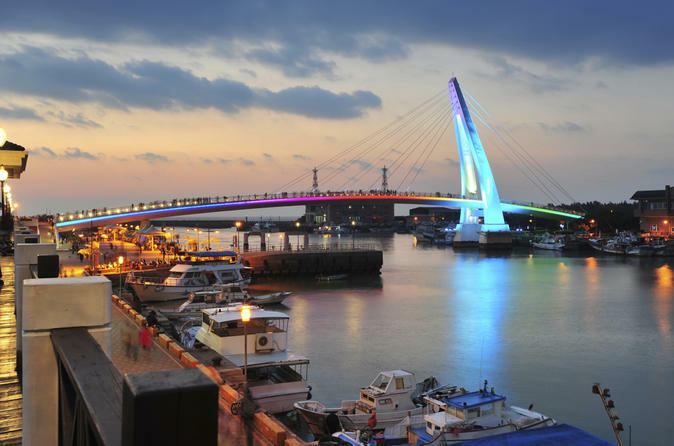 Discover the heritage and history of Danshui (also known as Tamsui, Damshui, Danshuei, and Tamshui) on a cultural walking tour, including the floating community, local temples and the traditional market. You’ll sample local cuisine, such as fish ball soup and other snacks, in this 19th-century shipping port in northern Taiwan. Explore the city, from its historical roots to its modern local life – including Danshui Old Street and more contemporary architectural icons like Fort San Domingo and Little White House. This small-group tour limited to 12 ensures personalized attention from your guide. Explore Taiwan’s countryside and discover its beautiful scenery on this 3-day tour from Taipei. Sit comfortably on board an air-conditioned coach and hear interesting anecdotes and enlightening commentary about the sites you pass. 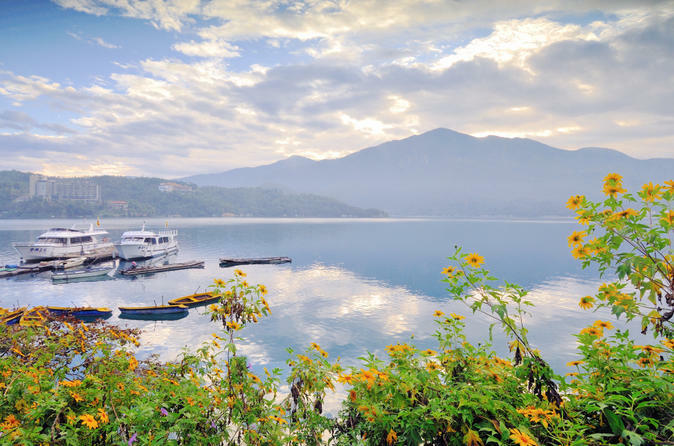 Step off the bus with your guide to walk around the region’s hidden wonders including the town of Puli, picturesque Sun Moon Lake, the extraordinary Alishan National Scenic Area in the county of Chiayi and the historic town of Lukang. 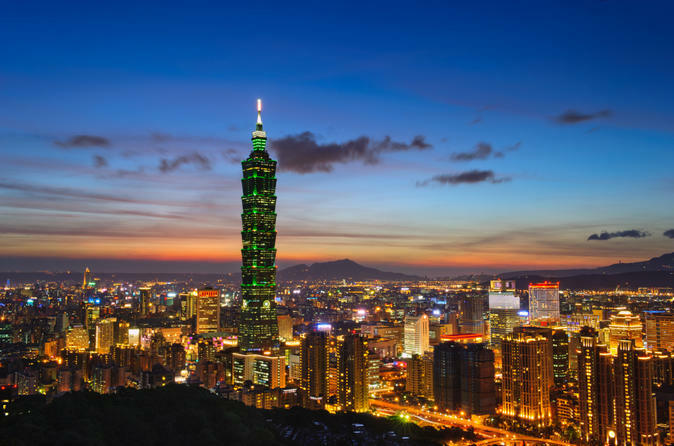 See the best of the Taipei on a private layover tour, with round-trip transport from Taiwan Taoyuan International Airport! 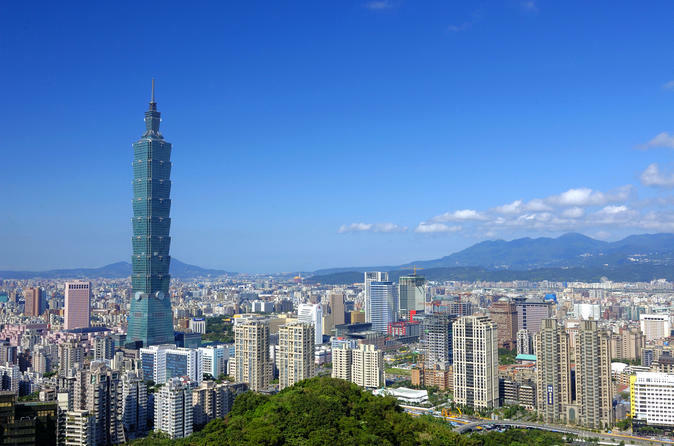 The Airport is approximately 24.5 miles (40 km) from Taipei city downtown, making for an easy-to-do layover tour! This customizable half-day tour is ideal for business travelers and short-term visitors – specifically designed for those with limited time to spend sightseeing in Taipei City. 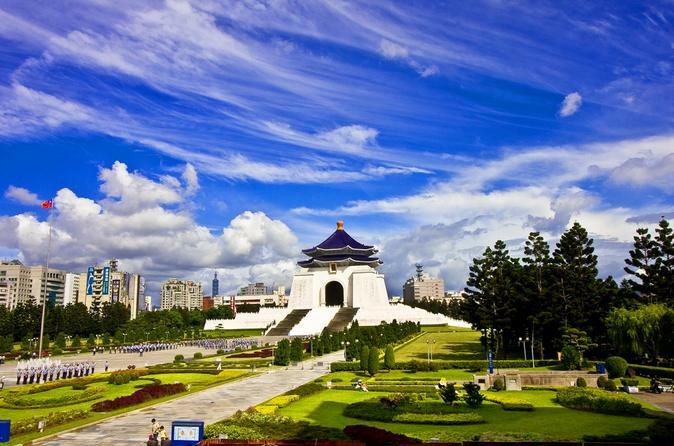 A private guide will introduce you to the city’s major historical sites and most captivating landmarks, such as Chiang Kai-Shek Memorial Hall, the Taipei 101 skyscraper, Confucius Temple and Baoan Temple – a UNESCO World Heritage Site. When your cruise ship pulls into port in Taipei, enjoy a full-day city sightseeing tour with a professional local guide. After a scenic drive from Keelung to the capital, stop at the National Palace Museum to explore 8,000 years of Chinese history and culture. Enjoy lunch in one of the most famous beef noodle soup restaurants in town. In the afternoon, visit two city highlights, Chiang Kai-shek Memorial Hall and Longshan Temple, before returning by minivan to the cruise terminal. This is a private tour just for you and your party. Enjoy an amazing 4-day experience of Taiwan on this tour from Taipei. With your guide, visit beautiful Sun Moon Lake, see various monuments in Tainan and explore lush Kenting National Park and Taroko National Park, filled with incredible marble formations. Hear interesting commentary about the sites you visit, and make plenty of stops for photo opportunities. You’ll travel by comfortable, air-conditioned coach and stay in 4- to 4.5-star hotels, with daily breakfasts included. This is a romantic, nostalgic tour aiming to take you back to the golden age of a historic coal mining town Pingxi. 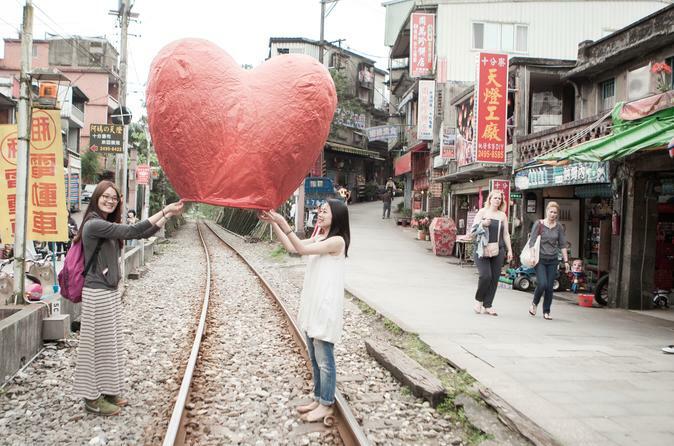 Visiting the Shifen Old Street brings you back to the past; Flying Sky Lantern inspires you to look into the future. This 5-hour tour also includes the hotel pickup and drop-off, a driver and a tour guide. 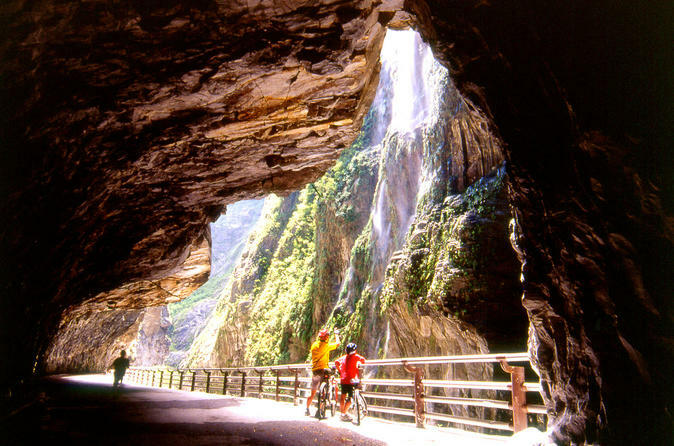 Ride a van or sedan along Taiwan’s mountainous eastern coastline to Taroko Gorge National Park and spend two days exploring Hualien County with a knowledgeable private guide. 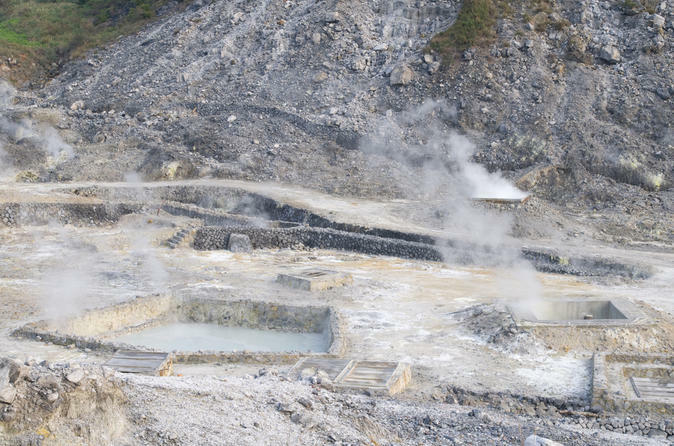 Hike the flat riverside Shakadang Trail at Taroko Gorge, visit the Hualien Sugar Factory for a treat, and see what life was like in a former logging village at Lintian Shan Forestry Center. You’ll stay overnight at a cozy bed-and-breakfast in the countryside and enjoy two lunches featuring regional aboriginal cuisine. Hotel pickup, round-trip transfer from Taipei, and transport by private vehicle are included. See the best of southwestern Taiwan on this 2-day sightseeing bus tour of Kaohsiung and Kenting National Park from Taipei. Your friendly, expert guide will provide interesting commentary about all the places you pass. Take a high-speed bullet train to Kaohsiung to explore the area’s must-see attractions by bus including Cheng Ching Lake, the Spring and Autumn Pavilions and the historical site of the former British Consulate. 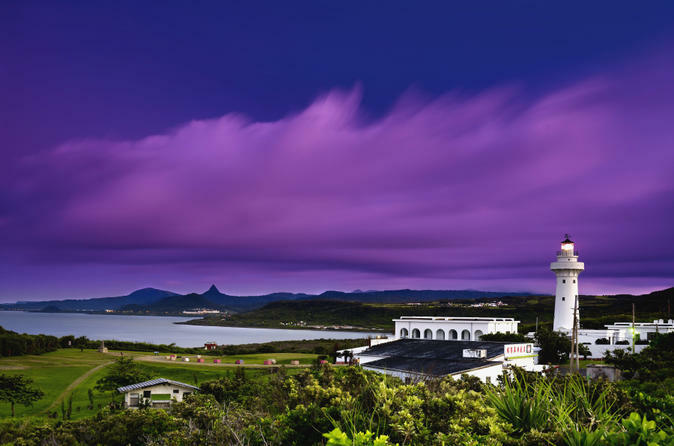 Explore Kenting National Park and make stops at scenic areas like the Oluanpi Lighthouse. This sightseeing bus tour is the most comfortable and convenient way to discover this region’s hidden and popular treasures. 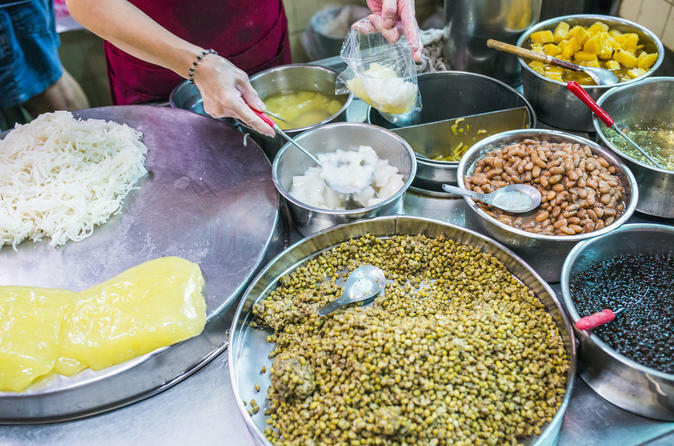 Book this 2-hour small group guided tour (maximum group of 4) that takes you to the Yansan Night Market in Taipei with a friendly, local creditable food expert! Nestled in the historical Daqiaotou District of Taipei, Yansan Night Market is your point of entry for a no frills, old school dining experience. It includes dinner, scrumptious food tastings and snacks. This small-group Taipei food tour, limited to 12 people, gives you an authentic taste of delectable Taiwanese cuisine at Ningxia Market. 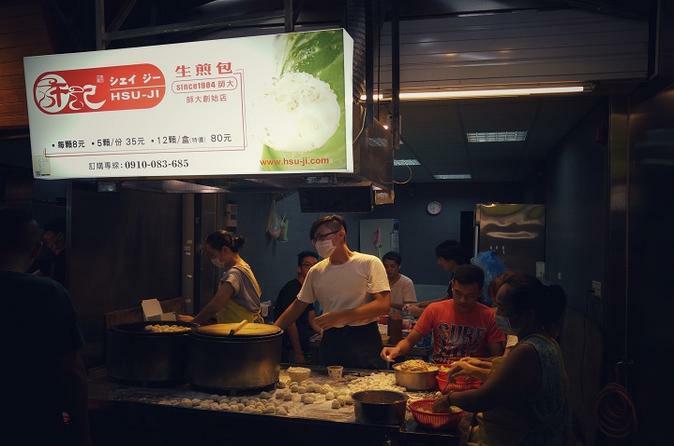 Walk through the traditional night market with your informative local guide, choosing three ‘shiao chi’ (little eats) from nine different options available. Sample taro cake or fried yam balls, slurp some herb soup, nibble on pork leg rice, try tofu snacks, or devour oyster pancakes. Your guide makes sure you don’t miss a single bite as you stroll among hundreds of street food vendors. 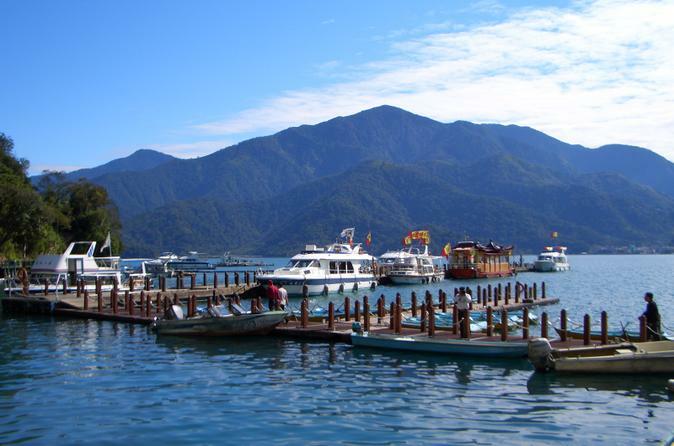 Enjoy a scenic day trip and motorboat cruise around the clear emerald waters of Sun Moon Lake, Taiwan’s largest body of water. Explore the region, including lovely Lalu Island – designated a National Scenic Area and one of the Eight Wonders of Taiwan – with a private local guide. Traveling by bullet train and private car from Taipei, you’ll visit top sites like Tse-En Pagoda and Wenwu Temple. 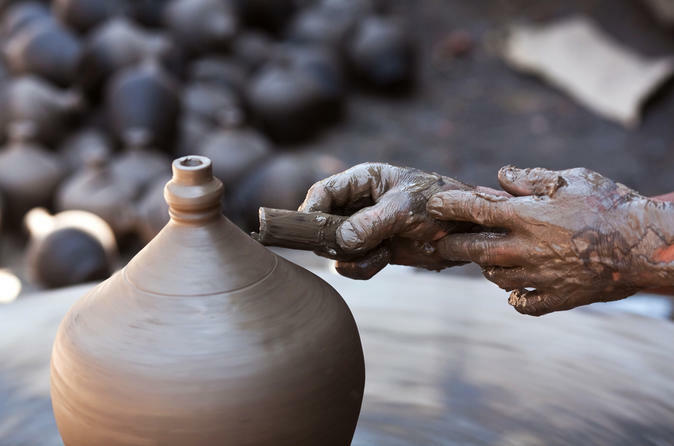 Gain cultural insight into Taiwan’s indigenous cultures as you visit the Ida Thao Village and dine on aboriginal cuisine! This is a tour for a retreat to let you get away from the city’s hustle and bustle, immersing you in tea aroma and natural greenery. You will experience the extraordinary scenery of the Thousand Island Lake, the endless rows of tea plantation, and a culture of tea appreciation. View the natural and cultural highlights of Taroko Gorge, one of the Seven Wonders of Asia, on a private day trip from Taipei. 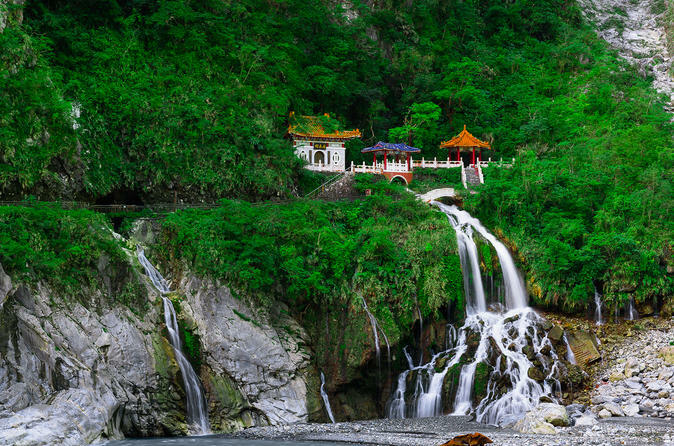 Receive the expertise of a private guide who has insider knowledge of Taroko National Park and its scenic spots. You’ll have amazing views of the marble cliffs and surrounding features like Hualien Stone Sculptural Park and Eternal Spring Shrine, plus a walk around Tienhsiang and the scenic Lushui Trail. Opt to travel by express train or private vehicle – your choice. 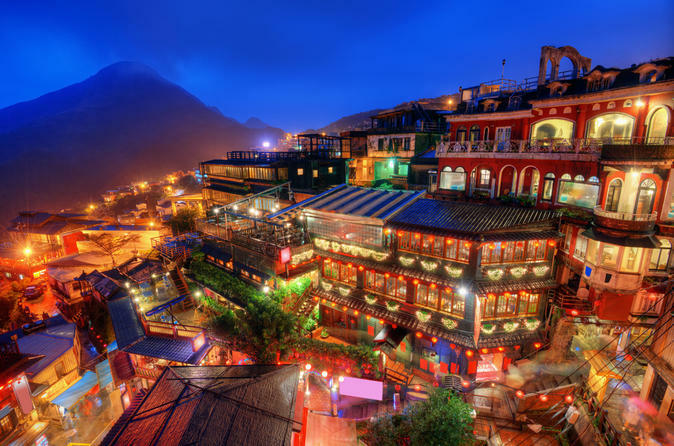 While in port in Taipei, spend time in the former gold mining town of Jiufen. 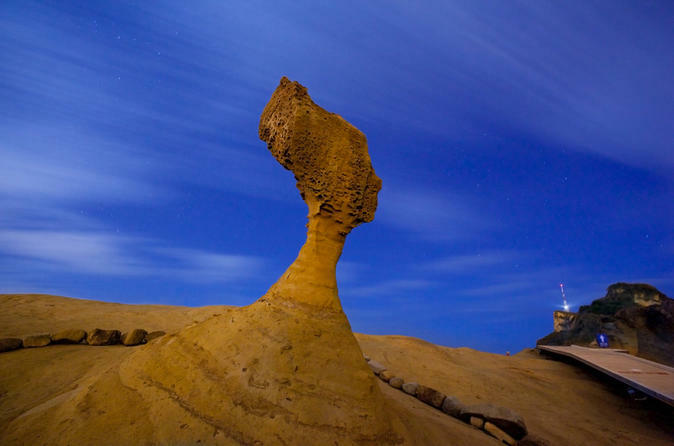 Take the Great Ocean Road on your full-day shore excursion, stopping along the way to see Yehliu National Geopark’s fantastic geological formations. In Jiufen, stroll down Old Street with your knowledgeable guide and discover Taiwan’s movie-making history at the Shengping Theater House. 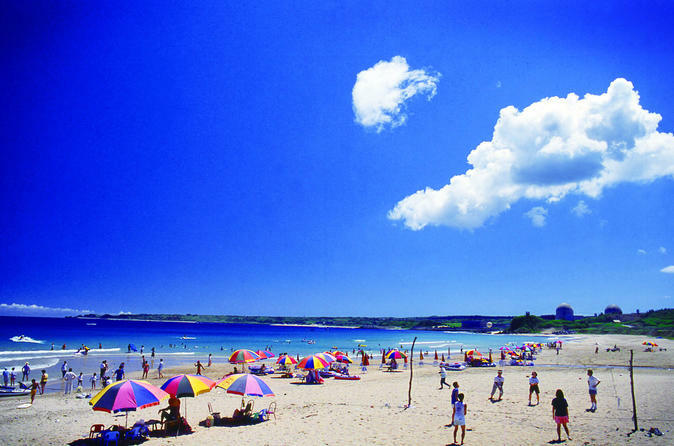 Enjoy lunch and round-trip transport from the Keelung port. Numbers are limited to 15 people, ensuring a personalized experience with a small group. 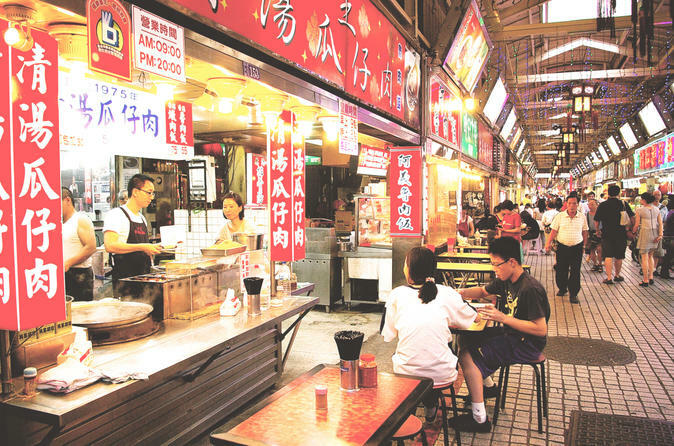 Night markets in Taiwan have become famous for their xiaochi, an important category of Chinese food which literally translates to "small eats". Served in portions similar to Spanish tapas, these dishes are often served as carry-out items. 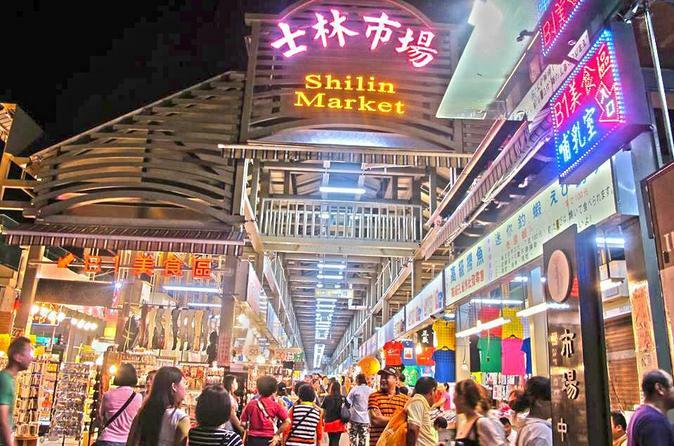 Shilin night market is the most famous and popular night market in Taipei City. During this 2.5 hour tour, you can sample up to 5 different kinds of food as well as finding the most popular non food stalls. Carried out in Taiwan's largest night market it is imperative that you have an experienced tour guide to get your full experience. This night market tour is led by a professional tour guide who is licensed by the Taiwan ministry of tourism. Elephant Mountain Trail, Taipei 101, Chiang Kai-Shek Memorial Hall, Temples and Street Food (Night Market) are the places where you must have a visit in Taiwan. Maybe you have already tour these classic attractions in day time. However, don't miss the beautiful and elegant night views of Taipei, these authentic attractions are beyond amazing when they are illuminated. If you have only 1 night in Taiwan, this tour will be your best choice! Explore the central and southern of Taiwan, discover Taiwan’s diverse and breathtaking geography as you tour the island’s varied terrain and enjoy some of the most scenic, awe-inspiring sights. Visit the must-see Sun Moon Lake, take a boat on the pristine blue water, or cycle on one of the best bike ways in the world. 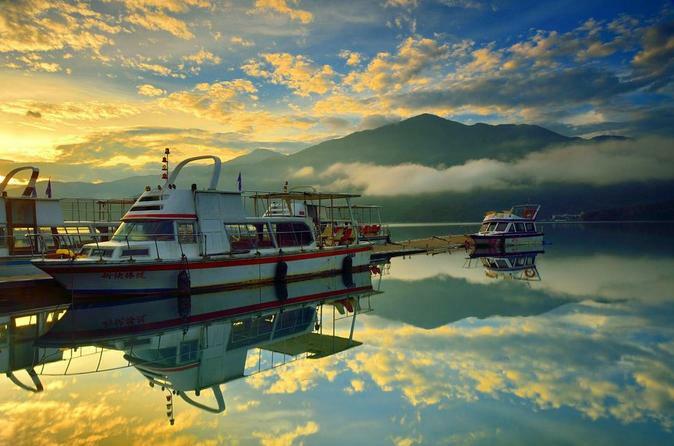 The Sun Moon Lake National Scenic Area is praised for its five major recreational systems, including the lake, Shueili River, Puli, Jhuoshuei River and Jiji. You don’t want to miss this exciting adventure highlighting the beauty of Taiwan. 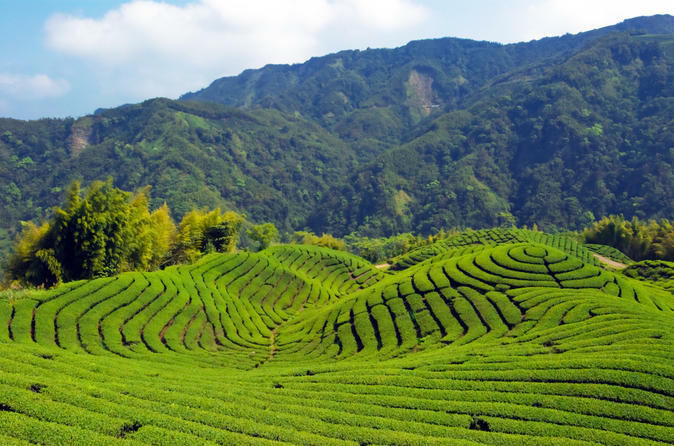 Taiwan is a well-known for its tea industry, especially its Mountain Tea. Pinglin is the place in Taiwan with many tea farms and the Pinglin Tea industry Museum is the world's largest museum dedicated to tea. 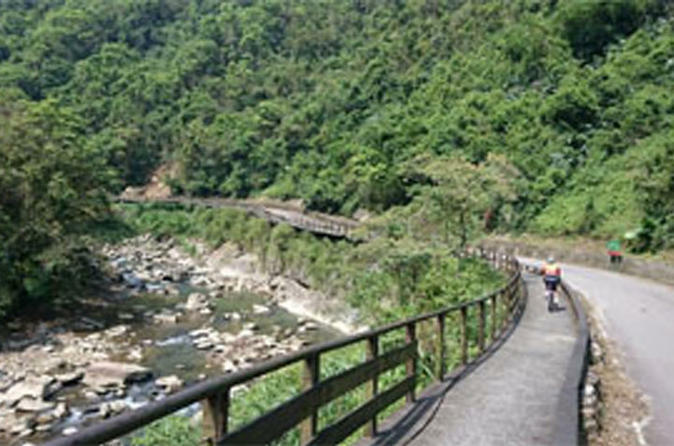 Your cycling path for this tour is from the Pinglin Tea industry Museum towards Daiyujue Riverside, to Jingualiao to watch fish, then you will continue on to Jingualiao Tea Eco-village and return to the beginning. On the road, you can find rich vegetation and schools of fish. Enjoy the green mountains, pure water and mesmerizing forest scenery that winds its way along the valley. This cycling activity is like a fresh and natural forest spa. Treat your feet to a luxurious 50-minute Chinese foot massage, followed by dinner at a Michelin-rated chain restaurant at Taipei 101. Kick off the evening at one of Taipei’s top spas for a foot-and-shoulder massage. Afterward, head over to Taipei 101 for dinner at Din Tai Fung, one of Asia’s award-winning eateries. 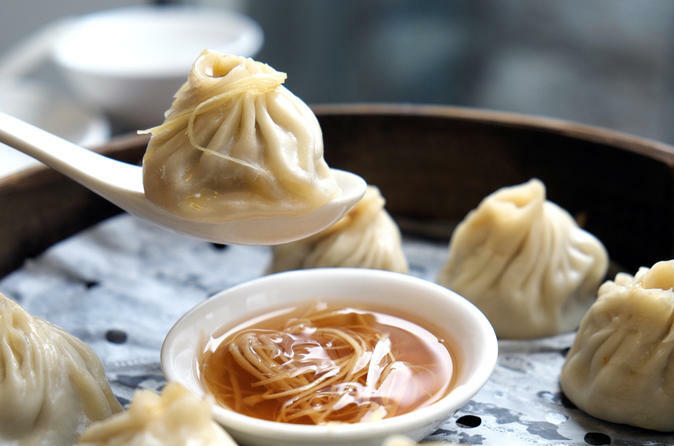 Work up an appetite as you watch chefs create the world-renowned 'xiao long bao' — Shanghai dumplings filled with soup — before you get a taste of them at your table. Numbers are limited to seven people, ensuring an intimate experience with a small group. During this 2-hour private night tour, you will ride the most convenient public transportation in Taipei - U-Bike, to visit some interesting attractions as well as to discover the local delicacies. You will be able to see famous C.K.S. 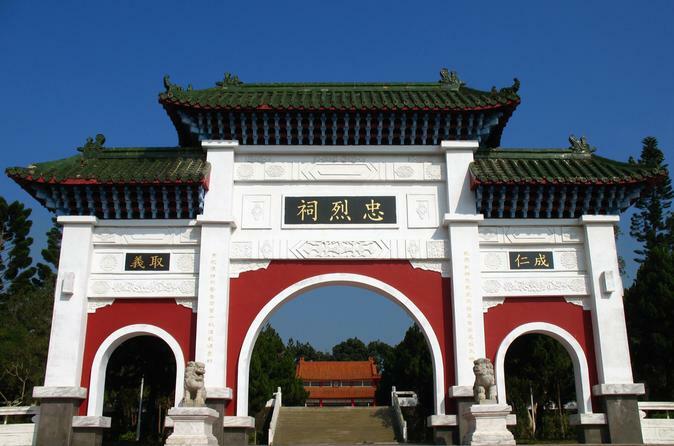 Memorial Hall, Yongkang Street, Shida Night market and more! 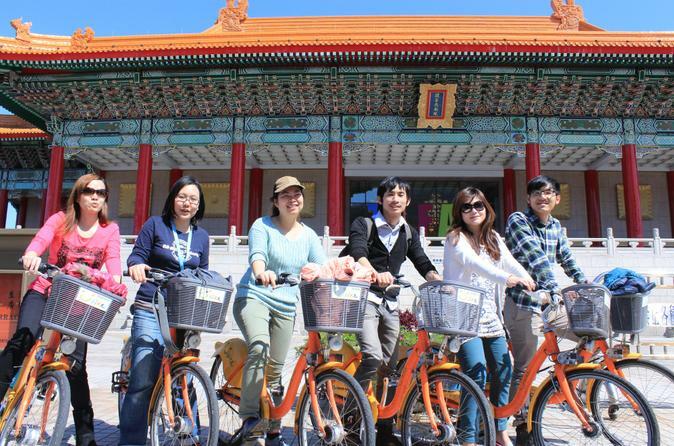 Put on your sneakers and get ready for this fun city biking tour in Taipei! 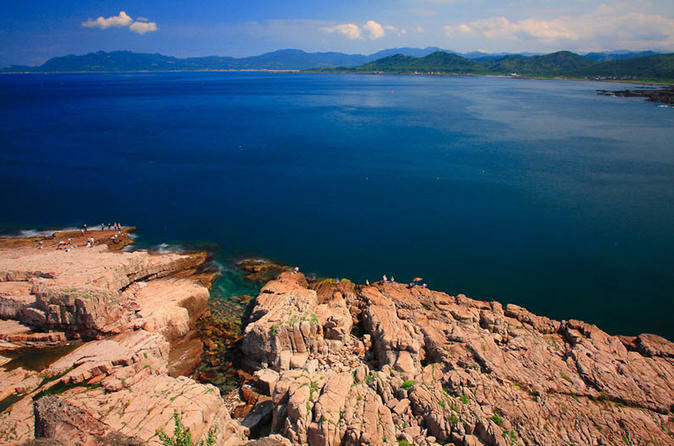 Go Rock Climbing at Taiwan’s Northeast Coast! Show off your rock climbing skills while enjoying the great scenery of Long Dong. The guides bring the gears and drive you via scenic highway along the ocean to get to Long Dong. You can climb the routes that fit your level. The guides belay you and ensure the safety of the climbs. Transportation and gear will be included so you can simply have a good time! 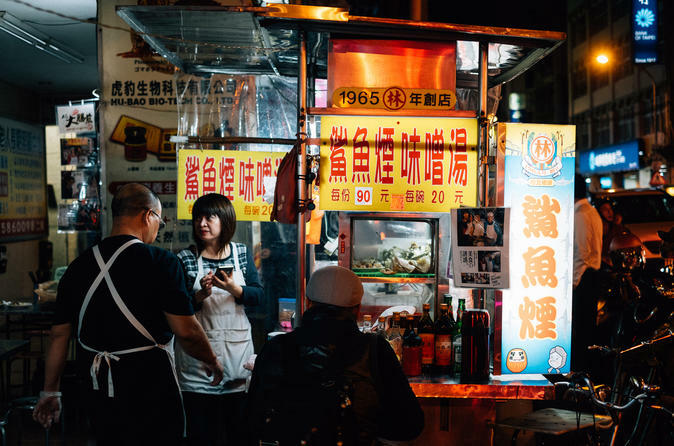 This private walking tour of Taipei introduces your palate to local Taiwanese food at the Ningxia Night Market. The traditional market, located in one of the oldest parts of Taipei, offers a delectable array of ‘shiao chi,’ or little eats. Stroll among the food stalls for tasty foods such as pork leg with rice, accompanied by shrimp soup. Vegetarians can order sticky rice with mushroom plus a variety of tofu-based options. Your private guide helps you get acquainted with this authentic market and experience Taipei as the locals do.